An enormous part of our lives is affected by electricity, from dawn to dusk, from the geyser which we turn ‘ON’ on the morning wake, the power to our coffeemaker, the traffic lights on our way to workplace, and the computers and equipment we use once we get to place. Without electricity, life, as we know, would be dramatically different. Still, most of the people never stop to think about how this essential utility became such a huge part of our lives. There are many great names, great souls who contributed for the development of this field. The pain, tears, stress they have experienced physically, mentally, emotionally in the development of this field is something which is immortalized in the annals of Electrical history. So as an electrical engineer it is our minimum duty to pay a tribute to them by knowing the history of Electricity. 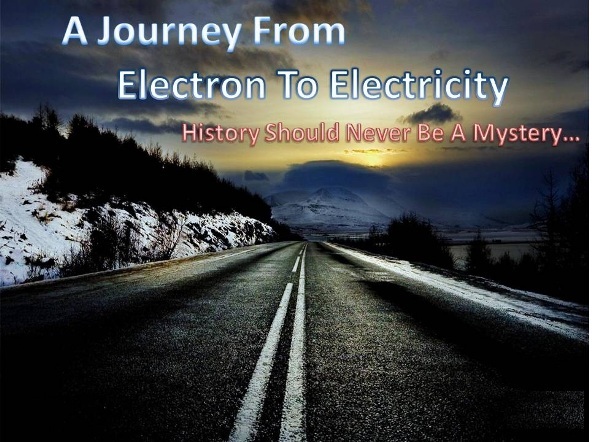 ;so this book is all about the history, like how electricity became an essential part of our life, who are the great personalities contributed for the development of this field, what are the struggles they have overcome in their journey, many more facts which have been revealed & the facts which are buried beneath the earth, the secrets in the history of electricity. So here we have made an effort to present all the above topics in suitable format hoping to create eagerness in the students. The topics which we dealing are the questions, which the thinking man has been asking himself from millennia.